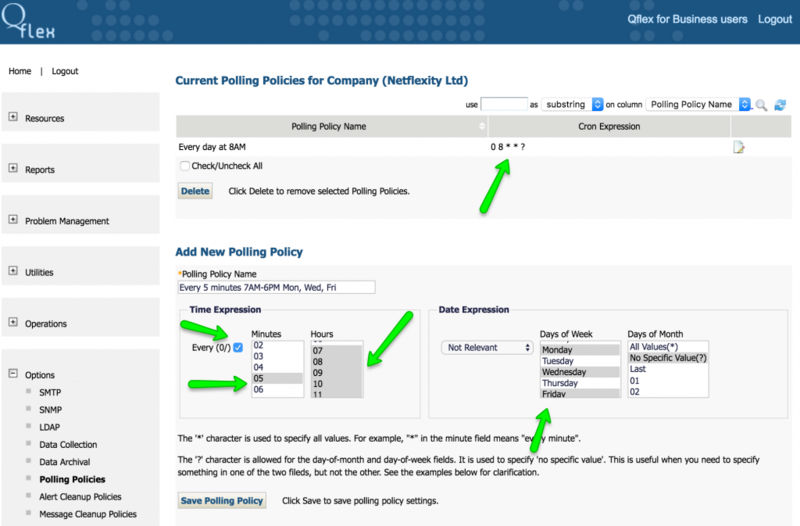 Many Qflex features utilize polling policies, including monitors, scheduled reports, maintenance windows and others. Cron expressions are powerful, but not really intuitive and easy to create. For that reason Qflex provides sepcial user interface to set these up. Even though Qflex v4.5.0 will come bundled with a good set of pre-configured polling policies, there would still be times demanding for custom schedules. Illustration above create a schedule that will execute every day at 8AM. Once the policy is created, it could be referenced in various features throughout Qflex product. 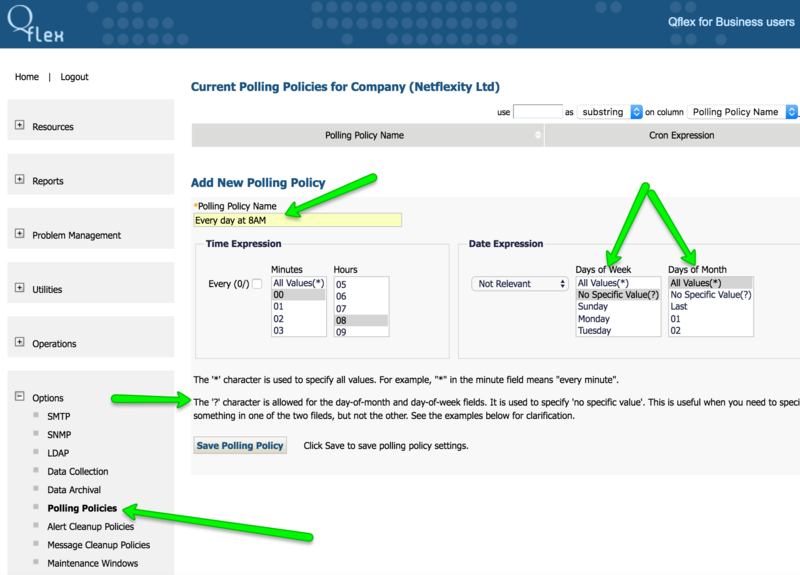 Once polling policy is saved, a list of existing policies above will also show raw cron expression that you could use to compare to expressions that you already have or found on the web as examples. In the illustration above, we are also creating a much more complex schedule that runs every 5 minutes on Monday, Wednesday and Friday from 7AM to 6PM. Resulting cron expression is illustrated below.